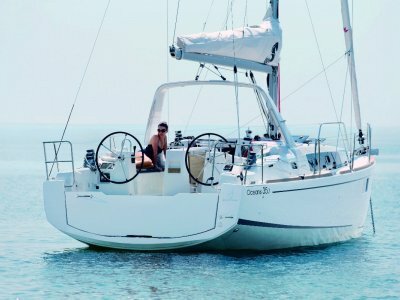 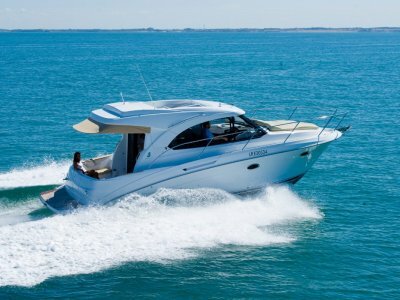 The first flying bridge motor boat of the range, the Antares 30 offers you a programme geared towards cruising, while at the same time keeping all the seagoing qualities of a veritable Antares. 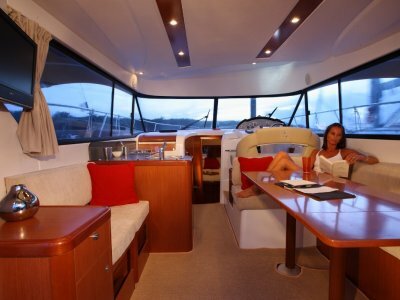 - Fitted kitchen: gas oven, 65 L refrigerator and space for microwave. 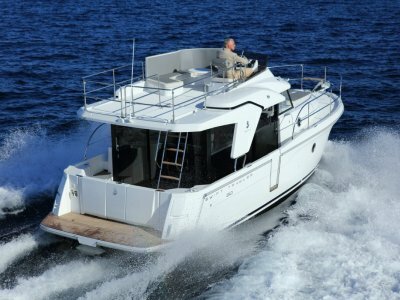 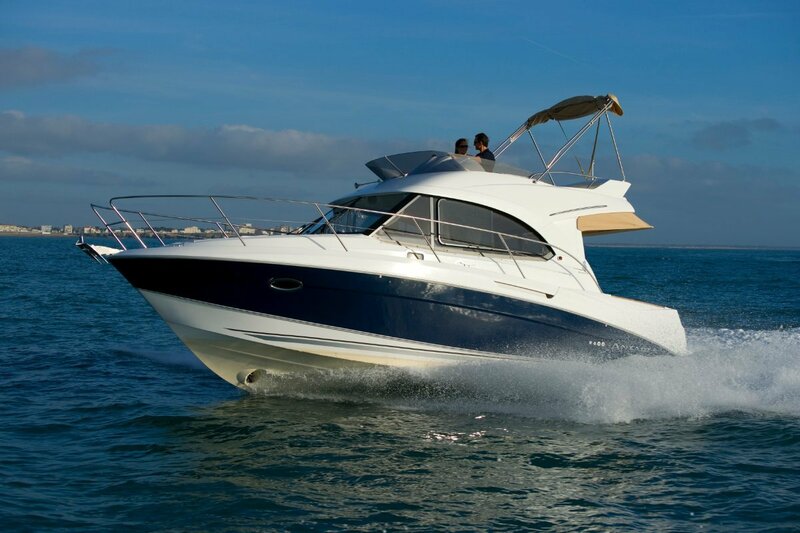 The Antares 30 offers you more space and comfort than any other motor boat on the market of this size.